"I would like to thank all modders who helped me, but also fans. First of all, they inspire and excite me to modding. I don't want anyone stand out. On my success, I have worked with a lot of people..."
Who is your favorite General and why? It's hard to make a decision. I think Alexander the Great and Hannibal are my favorite two greatest generals of antiquity. Their genius influenced the fate of the entire world. Hellenistic world (that I am interested in 20 years) was created by the one man in just a few years. What is your favorite era of warfare? I'm interested in all of military history, from antiquity to the present day. However, my favorite periods are antiquity and the 16th to the 18th century. From antiquity especially I like the Hellenistic era and the Bronze Age. Hard to judge why I like these periods the most. I just like an atmosphere - historical events, campaigns, battles, weapons, as well as culture, religion and art of these periods. Apart from military history I like the cinema as in itself. It is my other hobby. I love cinema classics such directors as Scorsese, Hitchcock, Kubrick and many others. My favorite movies are several many such as Serpico, The Deer Hunter, etc. However, due to historical subjects I love Barry Lyndon faithfully depicting the reality of the 18th century, and underestimated by critics is the movie Alexander, which was faithful to history, was accurate with battle and appearance of soldiers. Alexander has no equal if one compares it to the realism of ancient battle. I have to give props for this movie for representing it as perfectly as possible. Also, I would say that Alexander probably worked with a good historical consultant. Tell us how you came up with the name King Louis Assurbanipal? My nickname is a combination of the two kings of my favorite eras - ancient and the 17th-18th centuries. The first one is the king of France - Louis XIV, and the second is the king of Assyria – Assurbanipal. In addition, the initials of KLA is a summary of my real name. How long have you been modding? I started making mods shortly after the release of Rome 1. It's been 12-13 years since then. I am surprised that it has been this long that I have worked on modding. This is approximately one third of my entire life. What is your favorite mod if you have one? I don't have a favorite mod or even a top 10. For several years there have been a number of excellent mods by great modders, in which I played. How many mods are you working on as we speak? I am currently working for the team Vae Victis. It is a mod, which promises to be successful. It has a high historical potential. 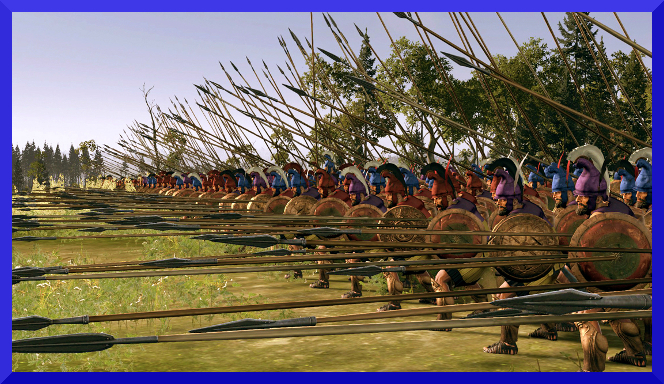 In addition I am working on skinpacks for Rome 2 and Attila. What is your opinion of Total War Rome II and Attila vanilla when they came out and then after all the patches and your favorite DLC if you have one? According to me at the beginning these games were very underdeveloped. Fortunately, over time this changed. Subsequent patches significantly improved gameplay. I like that CA listened to feedback of players and modders. My favorite DLC Rome 2 is the Wrath of Sparta, and Attila - The Last Roman. 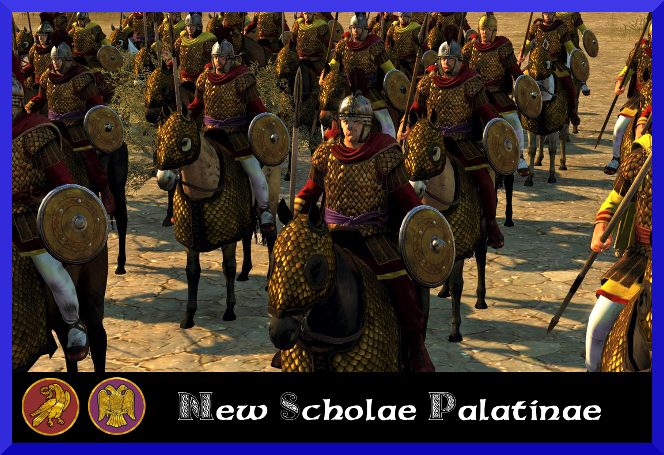 The era of Total War: Attila is my favorite era and specifically the Eastern Roman Empire, so when you developed your Advisor, Faction Leader Mods, and the Elite Units mod I was very much impressed how they further immersed me into the game. What were your sources you used to create such colorful and unique skins? Thank you, I'm glad you like this work. By creating these units I was inspired by my knowledge - from books, archeological finds, as well as the theories of historians. They have supporters and opponents, for example lorica segmentata, which was also used in the 3rd century AD. I have to say your Attila mods are a must for my campaigns not just because of immersion but because they really do look splendid. I have also noticed your trend through the years in modding has been these colorful uniforms in ancient through Napoleonic. However, I have notice unwarranted criticism for them as well. The sources you used have shown them with those colorful uniforms, but do you really think especially the ancient ones had that much color on the battlefield or more for parade? I try to implement colors where I have a reason to believe that these can be used. You know, a lot of units from antiquity, and especially their appearance is only a hypothesis. To this day there are not a lot of sources. Some of the units are only described by chroniclers, and the appearance you have to guess. As for colors, there were many already used in ancient times. Some of these colors were purple, red, blue, yellow, etc. However, there were various production processes and raw materials in order to obtain them. The prices of these colors were various. I try to consider and, for example, I used purple for rich and elite units only. Making units of Hellenistic states I inspired by colorful frescoes of Lefkada and Vergina that show soldiers in colored clothing, with colored shields and colorful helmets on their heads. It is difficult to guess whether they are ceremonial costumes or battle dress. However, there is a fresco that shows a cavalryman in a purple helmet and a blue/purple clothing, which he attacks a Persian infantryman. It can be assumed that it fought in the battle. Moreover, helmets have been found with elements of paint. These helmets performed expensive and fit to fight. It is very likely that such a helmet was intended for the parade, but used to fight to emphasize the warrior class or officers in battle. I think that if they were only intended for the parade, that they would be made from thin material. 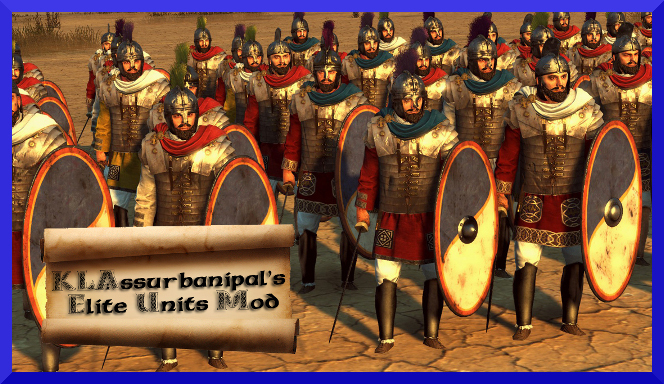 Which of your mods for Attila is your favorite? My favorite mod to Attila is Faction Leaders Mod. In the vanilla game leaders aren't very diverse. Moreover, most of them look too poorly for kings and prominent warlords. There are also historical mistakes. Therefore, since the launch of the game the first time I wanted to make leaders more diverse, richer properly to his rank, and above all more based on historical sources. So, it isn't a secret. I am going to release Faction Leaders Mod 3. I'll fix the current leaders cosmetically, and I will make new leaders of all the previously released DLC. The amount of patches both Rome II and Attila have added is great and all but has it been a big challenge staying up to date so that your fans can keep using your great mods? Yes, I made mods so as not to affect previous patches. There wasn’t much of a problem to manually run all of my mods. In addition, I always update Steam versions after patches released. From a non-modders perspective, what if anything would you like to see made available to modders for Rome II and Attila? Modders are making a good job. I think that we have all for Rome 2/Attila - gameplay, graphics, music, units and powerful modifications covering all aspects of the game. We also have medieval and bronze age. The only thing I would still see this mod of the 16th-17th century based on 2 Rome or Attila. Where does KLA modding march next? I will continue to modding of Rome 2 and Attila. 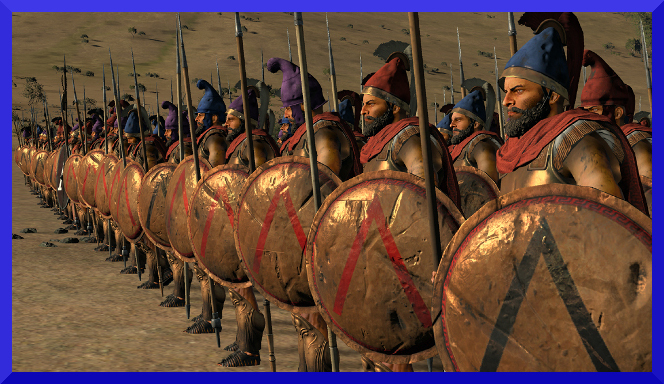 For Rome 2 I will release only 4-5 mods focusing on units of Hellenistic, Roman and generals of all factions. However, the work on Attila, I'm going to do a lot more. Vanilla requires more changes, and I made less mods to Attila than to Rome 2. What do you think of CA marching into the fantasy realm of Warhammer? I think that is an interesting move. The variety never hurt. I see that fans love this fantasy universe. But as a fan of military history, I very much look forward to another historic title after Warhammer. I sincerely hope that we will see the 16th and 17th centuries (to the beginning of the 18th century), eg. Italian wars, Thirty Years' War, Great Northern War, or the Spanish Succession War. Do you have any shouts out for those that helped with recent mods? I would like to thank all modders who helped me, but also fans. First of all, they inspire and excite me to modding. I don't want anyone stand out. On my success, I have worked with a lot of people, but I would like to especially thank Germans_are_coming. He is a modest modder and a very helpful man on whom I can always trust when I release mods. I want to thank also Magnar, chief of Vae Victis for his patience. Thank you KLA for your splendid mods over the years and the current ones as well! They stand as a testament of what historical uniforms should look like in a war game. Thank you as well for your willingness to share in detail to others about your modding efforts. As always I am sure your future endeavors will be as shinning as the current and past mods were, and again thank you KLA for all that you do. ES Modders interviews are back! As said before more than once, we look forward to release much more similar interviews in the future and the list of those to be interviewed is already quite long, as we are suffering from a lack of new staffers at the moment; for this reason the ES is undergoing a new recruitment, therefore feel free to contact me if you feel like that writing interviews (and mod reviews) is something that might suit you! Wonderful interview and what a great modder KLA must be! It's the first time I read about him and his work seems great. Well done to the ES crew too! A well deserved, and well written review. It's a very interesting interview to read from a great modder like KLA who is truly a legend. Thank you very much friends for that interview and playing my mods. I'm glad I'm working for the fans. I feel very honored. You are welcome KLA! It is well deserved for all the hard work and dedication you have to your mods and giving us chance to spice those uniforms up to boot!